There are four key elements that you need to develop a successful customer loyalty program, such as the one we built with D'Addario. Managing customer churn and increasing lifetime value are two of the most common initiatives our marketing team is given when working with an organization to grow revenue. The reality is both of these elements can be defining KPIs for your business and a critical intersection for organizations looking to improve customer loyalty. Defining the solution is only half of the battle. Reality is, in order for a business to successfully launch a loyalty program that has a true impact on the business, there are 4 key elements it must have for eCommerce loyalty programs. 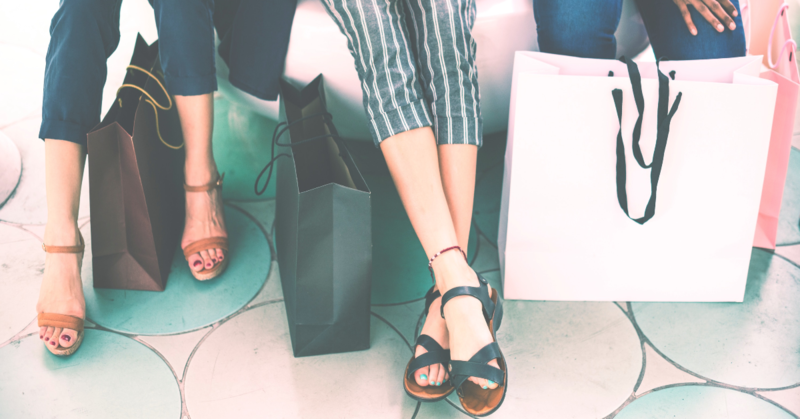 A loyalty program is an extension of your brand and one of the more outward facing tactics an organization can use in order to strengthen their relationship with their customers. As a result, when introducing customers to your loyalty program, make sure it contains the personality of the brand. When we developed Players Circle for D'Addario with Sweet Tooth Rewards, we knew the program had to reflect the personality of D'Addario and speak to its audience - passionate musicians and artists. In a noisy online environment, you must give your customer base a reason to engage in your loyalty program. Think about the number of times you have stood at a checkout and been asked if you're a "rewards member' or if you have their "membership card." How often do you rush the cashier through this line of questioning, informing them that you're not looking for another invasion of your inbox, another card to carry, or another keychain accessory. We do this because we haven't been sold on the value of being part of such program, and exclusivity is one of the biggest drivers in the success of a loyalty program. Your customers want to know that by engaging in this additional effort, they will benefit from offers, access, or deals they otherwise wouldn't receive. Communicating this can truly make or break the adoption of your program. Depending on your business model, this is one of the areas that needs a lot of thought as it creates a ton of opportunity and a ton of responsibility pre- and post- program launch. We have seen a few different types of programs that support multiple engagement opportunities. In this program your customers are essentially reaping rewards at the point of purchase. As they spend more, they receive offers or better discounts. This can work great for merchants running with multiple brands and looking to increase annual/lifetime customer value. In a Catalogue-Driven Program, our clients are seeing customers either repeat purchases with a particular aspect of the catalogue or they have a set of products and the program is driven on getting their customers to buy more of their offering. Sonos would be a great brand to launch one of these programs. With a truly defined catalogue of products, Sonos would have the opportunity to create a great loyalty program by encouraging their customers to expand their collection of their speakers product-line. 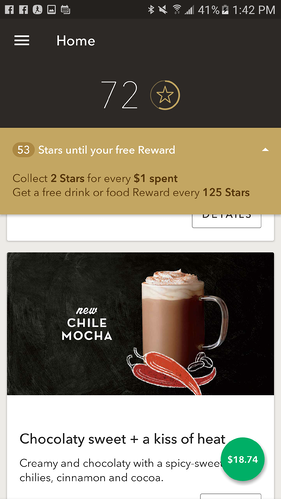 Starbucks is a great example of a successful, all-encompassing loyalty program. These programs have rewards, point-of-sale, content, and exclusive offers. While these are certainly the types of programs that garner the most attention, the key is making sure you do well within your business model and choose a program based on your customer base. Ensure that there are multiple ways to engage with the program, creating a continued interest which drives buying behavior. Depending on the execution strategy you choose from #3, this can be the next great success or fatal flaw of your program. Releasing relevant content to those who engage is critical to maintaining interest and participation in loyalty programs. Often we are brought in to help re-engineer a program that simply turned into an alternative e-mail list for brands and has lost its user-base and adoption of the program. Acknowledging this group and providing them with exclusive and relevant content based on the program is another major opportunity to communicate with this audience. By providing them with relevant and interesting content based on the information you collect about this group, you’ve given them another reminder of the value of the program and encouraged your audience to continue participation. Time and time again we remind companies that building these programs is actually very simple. However, running them well requires a strong commitment to these 4 elements in order to truly be successful. Creating a game plan to not only launch the program but also to define who and how you will handle these elements is what determines success. 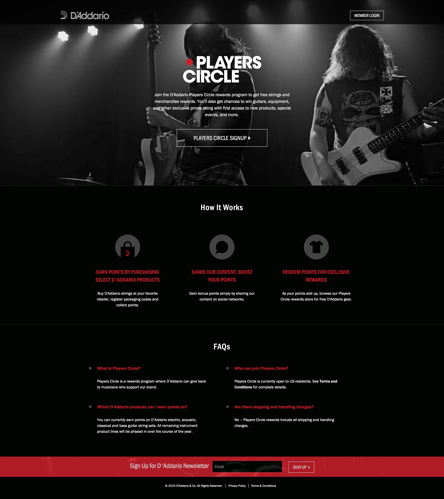 Get the whole story behind D'Addario's Players Circle loyalty program - which has since expanded to two more international programs - by downloading the Case Study.